Bar-Yam and the NECSI team, whose analysis was published Sept. 21 on arxiv, work at the intersection of social phenomena and network analysis. In earlier research, they’ve explored the global economy’s changing structure and early-warning signals that may precede crashes. Bar-Yam and colleagues approached this morass with a series of mathematical models designed to simulate the trend-following investment behavior of speculators and food producers. 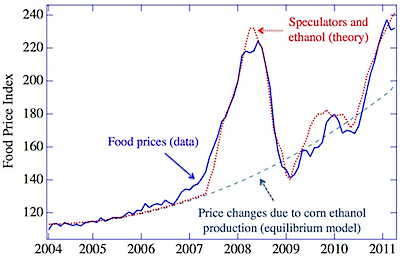 Key to their models was a link between food prices among speculators and the so-called spot price of food at markets where actual commodities, not their hypothetical future values, are traded. With the link to speculation established, the researchers let their model run. What resulted was a pattern of month-to-month prices similar to the peaks and valleys seen in real-world food price fluctuations since 2007. However, speculation didn’t replicate the observed long-term, year-to-year rise in food prices. 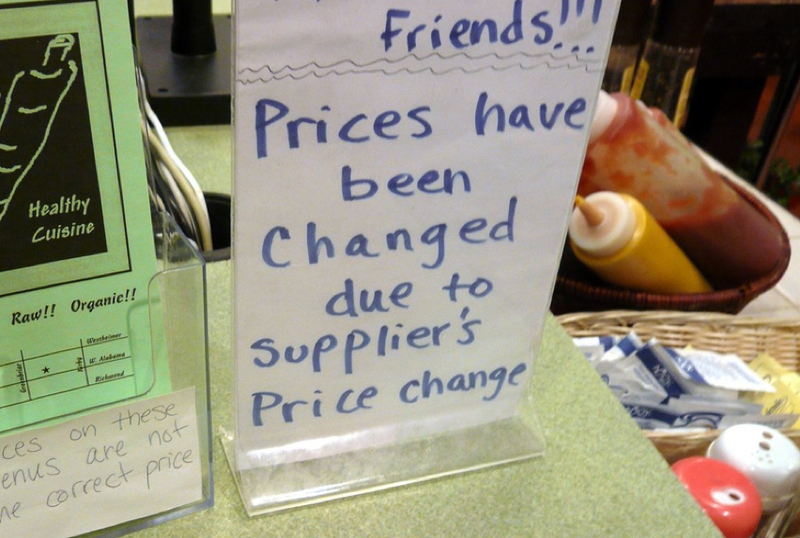 “Prices today are roughly at what they were in the mid-1970s,” Kharas said. “At that time, nobody had heard of these futures, these index-traded funds. How do we know these are new changes, and not a return to things in the past?” But Richard Cooper, a Harvard University economist who in the mid-1970s studied that bubble, said speculation by Russian grain buyers probably contributed to that bubble. What happens if you respond to spam? While doing some spam research a couple of years ago, we did a series of test purchases from spam e-mails. We bought pills, software, cigarettes, et cetera. We were a bit surprised that almost all of the orders went through and actually delivered goods. Sure, the Windows CD we got was a poor clone and the Rolex was obviously fake, but at least they sent us something. We were carefully watching the credit card accounts we created for our tests but we never saw any fraudulent use of them. The most surprising outcome from this test was that we didn’t see more spam to the e-mail addresses we used to order the goods. Via Eapen Thampy, the link is here and they cite a new study on spam (pdf), which is interesting throughout. How does the financial side work? One of the most interesting details in the study is this: almost all spam sales worldwide are handled by just three banks. I Got .99 Problems, But Pricing Ain’t One. Everyone knows – or thinks they know – that prices such as £1.99, £5.99 or £9.99 are optimal price points for retail goods. Customers read the first digit first, and the last two are ignored – or at least, they have much less cognitive impact. In general, consumers were thought to put a subjective value estimate of about ten per cent less on an item priced at £3.99, than one at £4.00. [And] the results were a surprise. At first we thought that the effect we have discovered was just a previously unnoticed artefact, hidden by the fact that no proper experiment has been published before. But after further exploration, we think it is also an effect of changing consumer preferences. As customers become more aware of marketing tactics and more cynical about any communication from companies, their psychology and behaviour inevitably changes. Prices ending in .99 no longer have any advantage in consumer value perception, and do not lead to higher sales. The optimal penny value varies by country. In the United States, it is .01. So, instead of $3.99, companies should charge $4.01. In European countries, the optimal price point is different for different product categories, but there is a peak at .04 for many products. So, British or European retailers currently charging, say, £0.99 should increase the price to £1.04. By switching in this way to a “dollar-plus” price instead of “dollar-minus”, retailers can increase sales volume by an average of 8% and increase profit margins by 1-3% (depending on the exact price point). Consumers, when presented with the new price point, report an increased level of trust and affinity with the brands of the retailer and manufacturer. We believe this arises from the “honesty signal” that comes from abandoning a discredited and manipulative sales practice. This is indeed very interesting, and I eagerly await reading the full study (which Leigh is offering as a pre-print!). Head over to Leigh’s blog for more rather counter-intuitive findings from his new research! Update: If not a bit late, April fools! 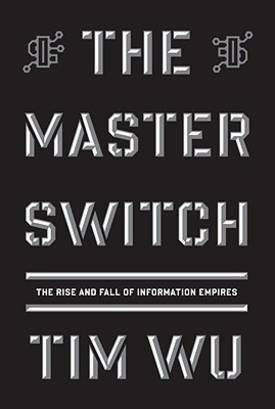 I reviewed Tim Wu's great history of media consolidation and regulatory capture The Master Switch earlier this month; now Tim says, "This piece I wrote for the Wall Street Journal is an important one. It is like a last chapter for my book." We wouldn't fret over monopoly so much if it came with a term limit. If Facebook's rule over social networking were somehow restricted to, say, 10 years--or better, ended the moment the firm lost its technical superiority--the very idea of monopoly might seem almost wholesome. The problem is that dominant firms are like congressional incumbents and African dictators: They rarely give up even when they are clearly past their prime. Facing decline, they do everything possible to stay in power. And that's when the rest of us suffer. AT&T's near-absolute dominion over the telephone lasted from about 1914 until the 1984 breakup, all the while delaying the advent of lower prices and innovative technologies that new entrants would eventually bring. The Hollywood studios took effective control of American film in the 1930s, and even now, weakened versions of them remain in charge. Information monopolies can have very long half-lives. Declining information monopolists often find a lifeline of last resort in the form of Uncle Sam. The government has conferred its blessing on monopolies in information industries with unusual frequency. Sometimes this protection has yielded reciprocal benefits, with the owner of an information network offering the state something valuable in return, like warrantless wiretaps. The vertical axis says "% NYSE of All Market Share Volume". The time-line is from July 05 to beyond July 08. The text in the black box is "Matched Market Share: July 11, 2008". When it's so obvious, it's probably not obvious. The big story is off the chart: what happened to the other 50% of the volume over the years? Faced with this, one reaches for the pie chart (... almost).